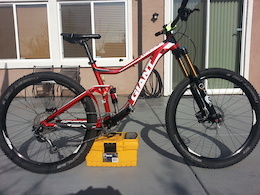 For Sale Santa Cruz Nomad CC Stock Build w/ some upgrades! Upgrades: Shimano XT Brakes, Shimano Icetech Rotors, Thomson Elite Seatpost Dropper Thanks for Looking! For Sale 2016 YT Industries Capra CF Pro Race. Medium, Carbon Fiber Frame w/ Aluminum chainstay,27.5/650b. Top of the Line of YT's Enduro bikes! Lightly Ridden, Mostly Xc / Trail Rides! Some scratches as shown on the photos but No Cracks! Overall, The Bike is in Excellent Condition! Helping a Friend Sell His Bike. Bike is Located at Elk Grove, Ca. Thanks For Looking! 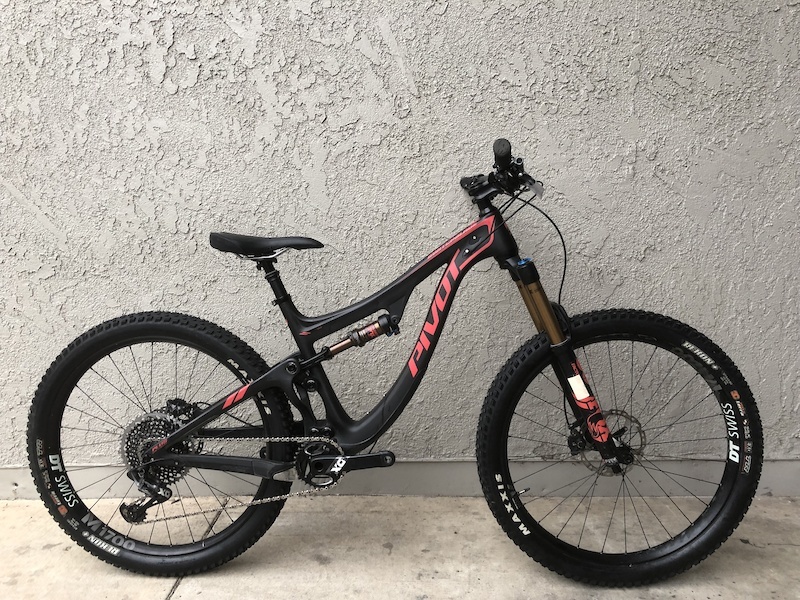 Specs List : FORK: Fox Float 36 Factory 160mm REAR SHOCK: Fox Float X2 Factory 170mm DRIVETRAIN : Sram XO1 Shifter 11 Speed, Sram XO1 Derailleur 11 Speed BRAKES: Sram Ultimate Brakes ROTORS : Sram Centerline 200mm Front and Rear WHEELSET : DT Swiss 1200 XMC Carbor Wheelset HUBS : DT Swiss 240s CRANKSET : Raceface SIXC Carbon Crankset 1X11, w/ Raceface Narrowide 32t Chainring and E-13 Bashguard PEDALS : Raceface Chester Pedals HANDLEBAR : Renthal Fatbar Carbon 760mm STEM : Renthal Duo Stem 50mm SEATPOST : Rockshox Reverb Stealth Dropper Post 150mm Thanks for Looking! 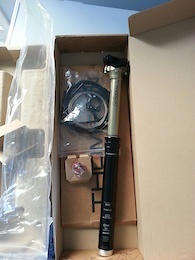 Brand New Thomson Covert Elite Dropper Post Never been used or installed! Internal Routing 31.6 mm Diameter 125 mm Travel Price includes shipping! Thanks for looking! I think this is the same person scamming PB!